2014 – Balbriggan Integration Forum Chairperson, Betsy Abu, received Community Person of the Year Stephen Scarff Award! 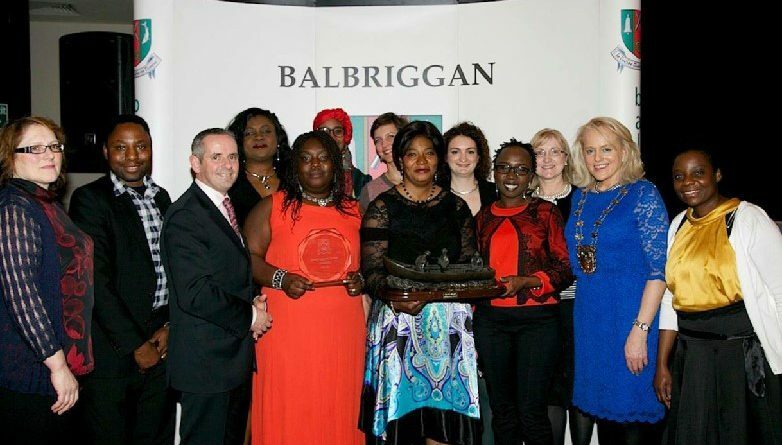 2014 – Balbriggan Integration Forum represents Fingal County Council in the ” Pride Of Place” competition! 2013 – BIF Overall Winner of Fingal County Council’s Community Division, Community Group of the Year Award 2013! 2013 – BIF got 1st place in the “Representative Organisation” category! 2013 – Cairde Balbriggan winner of Fingal Managing Volunteers Award! 2013 – Cairde Balbriggan received the Balbriggan Town Council Annual Award in recognition of helping all communities in Balbriggan to integrate! 2012 – Cairde’s project “Inspiring Integration” nominated to MAMA awards!